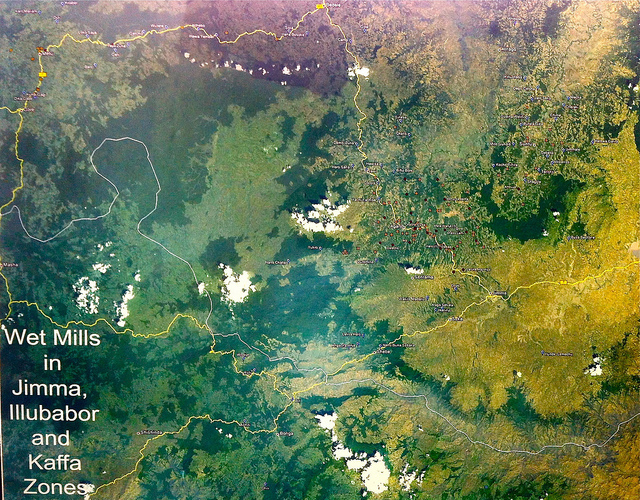 Some of CCS’ strongest and longest standing partnerships were built in East Africa, and in Ethiopia specifically. Laws and trading parameters, restrictions and possibilities, they are changing all the time. As much as we want to hold onto things that work, we keep a dynamic approach and curious mind, always holding the door open for change and improvement. A recent transparency reform at the ECX, plus an easing of restrictions on export licenses for coffee suppliers, has opened the market. While new opportunities are great, opportunism is not, so we were cautious when it came to meeting new partners taking advantage of these new trading arrangements. On the streets of Addis, beyond dusty air and traffic jams, behind construction sites, piles of gravel and hordes of goats, we were introduced to a mild mannered, helpful and service-oriented Abenezer Asfaw. Abenezer is the Supply Chain Manager for Snap, one of those new specialty coffee companies taking advantage of a more open market. Snap was established by Negusse D. Weldyes, for whom Abenezer is the right and left hand. The company has its own washing stations in Guji, Gedeo and West Arsi, and it also manages coffees on behalf of other washing station owners such as Daniel Mijane in Gedeb, and the Jebril brothers in Uraga, to name a few. Their coffees are meticulously processed, washed and naturals alike. Starting next season, all coffees exported by Snap will be hulled and screened, sorted and bagged at their own dry milling facility in Addis. It was clear from the outset that Snap is a company with a long-term commitment to producing well-crafted coffees, not out to make a quick buck before the export license system changes again. Controlling and following up on the last and final steps of the coffee’s journey out of Ethiopia is key, and Snap have proved they have the know-how and infrastructure to make that happen. That is why we have partnered with them. CCS will be working closely with Abenezer and his team, sharing cupping tables, lab functions and offices in the Snap building on Bole Road, Addis Ababa. Robert will be in Addis from January 11th to the 28th. If you are passing through town, we invite you to the lab to cup with us. Matt will be leading an official buying trip with customers for CCS from Feb 4th to Feb 11th, 2019. Email Matt to find out more. If you will be visiting outside of these days, get in touch, we can arrange a cupping of CCS coffees with the team at Snap. CCS’ founder, Robert Thoresen, has been developing long-term relationships with producers and partners at origin since before he opened Kaffa Oslo roastery in 2005. Anyone who has worked in specialty coffee as long as Robert can tell you, those relationships will be tested. Like any long-term commitment, there are good times and there are bad. Enduring those tougher times only strengthens the relationship, and reaffirms its value and meaning. Our relationship with Moplaco Trading in Ethiopia is one of our most passionate, and right now it is being tested. We began working with this pioneering company in 2013, and its director, Heleanna Georgalis, has been our trusted guide ever since. Ethiopia is a challenging origin. Its coffees are highly sought after for their cup profiles, the astounding genetic diversity, and for challenging our perceptions of what coffee can be. And yet it is so hard to buy coffee there. The labyrinthine and ever-changing coffee auction system and the laborious government bureaucracy can frustrate even the most patient coffee professional. Add poor infrastructure and political instability, and it is a small miracle that coffee ever leaves the country’s borders. And yet it does, and we can thank Heleanna for showing us how its done. 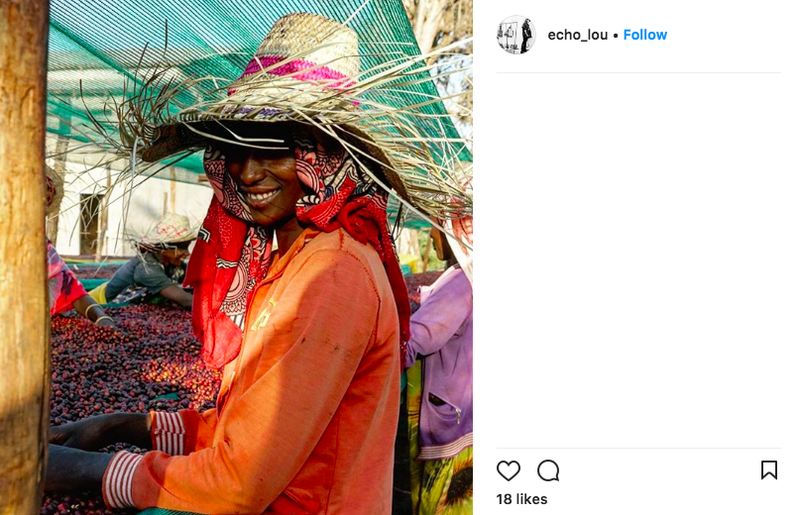 Heleanna is a coffee producer herself, plus, through Moplaco she has been purchasing and processing cherries through all manner of trading and auction models since she took over her father’s company in 2008. The great value that Moplaco add to their coffees is their meticulous processing, both natural and washed. This work has earned Moplaco an international reputation for exceptional and consistent high quality. But things have been rough this year. Despite preparing the contracts for these coffees back in March, we have still yet to receive a single container. Rarely are these rough patches the fault of just one party, and we admit our own part, we were late getting confirmation from our clients which delayed our purchasing decisions. If we had confirmed the coffees we were buying sooner, we might have avoided the problems that followed. First, just as the coffees we purchased were approaching the front of the milling queue, the zone where the Moplaco mill is located lost power. It was almost a month before electricity was restored, delaying the milling of our coffees to the end of June. By that time, all our paperwork, the contracts, letters of credit (LC), export certificates etc., were out of date and had to be renewed. Moplaco’s headquarters are located in Dire Dawa, Ethiopia’s second largest city, located in the Somali Regional State in Eastern Ethiopia. Ethnic tensions are always simmering in this region, but in the last nine months violence has escalated, causing Moplaco to close their office. Internet in the region has also been intermittent -- cutting the internet is a tactic in some African countries to restrict the mobilizing power of social media. Admasu, the Moplaco staff member based in Dire Dawa is currently working in local banks who have sporadic internet access he can use when it is not busy processing international transactions. We are concerned firstly for the safety of Admasu, and secondly — by a very very long margin — that this is slowing down the paperwork. We are frustrated, of course. We want our delicious Ethiopians to hit the market early. We want them on your menus before anyone else’s. But this is the reality of working in Ethiopia. Other exporters have not faced these issues this year, and there is plenty of Ethiopian coffee available on the market, but we are not blaming Moplaco for the delay. Our respect for Moplaco’s meticulous work, knowledge of Ethiopia, and their stellar coffees is not diminished. We will continue in this relationship and support Heleanna in her efforts to counter each problem as it arises. The silver lining is that the delays caused by the power outage mean our coffee was only recently milled, so it will arrive fresh and delicious. Two containers for Continental are on the road to Djibouti and should ship soon. We expect them to arrive in September. The third container should arrive in October. Two containers are ready, all the paperwork has been updated, and will leave for Djibouti in the next week. We also expect them to arrive at the Vollers warehouse in September. We are working on an updated Letter of Credit (LC), an essential document that guarantees payment for the coffee to a government approved Ethiopian bank. We hope to have this sorted soon, and we are expecting the container to arrive in September. Plus we have stellar Ethiopian coffees from our partners SNAP, Kata Maduga and Guji Highlands available for spot purchase. The introduction of the Ethiopia Commodities Exchange (ECX) in 2008 was a disaster for the Specialty Coffee Industry. The system of sale obscured any information relating to the coffee beyond its region. Basically, it wiped out traceability. Recent changes however, have dramatically improved the situation. The ECX is a private company made up of both private parties and the Ethiopian government. 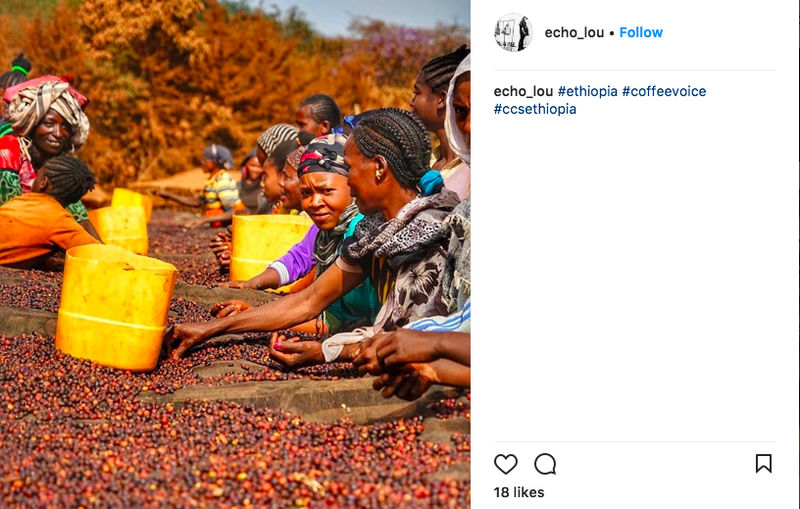 Upon its inception in 2008, all coffee in Ethiopia had to be sold through the ECX. Initially, it enforced a system where smallholders sold their cherries to a ‘collector’, who in turn sold to suppliers/washing stations. Collectors had to obtain licenses in order to buy from their specific areas (e.g. Kochere). They were only allowed to buy from their specific areas. 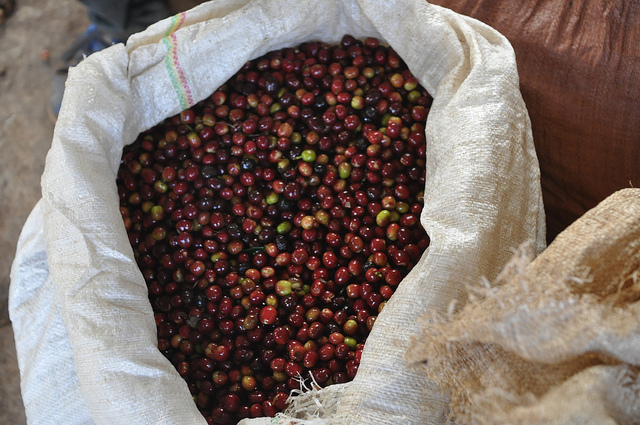 Once processed by a washing station, coffee was delivered to the auction in Addis and was cupped and graded by the Coffee Liquoring Unity (CLU). Auctions happened every day and exporters had the opportunity to see, but not cup the samples, and knowing only the coffee’s region, made their purchasing decisions. In a newer version of the auction, which was implemented soon after the first, collectors were eliminated, and centralized marketplaces were implemented. Rather than suppliers buying from collectors or specific smallholders, they bought from centralized markets and cherry prices are based on ‘market price’. The ECX has grown quite expansively over the years. Of the 600,000+ metric tons of product sold through the exchange, coffee makes up only 3,000 metric tons. Still, 6.5 million pounds is no small number, and it requires a large amount of infrastructure. The inception of the ECX was a step backwards for the specialty coffee industry. 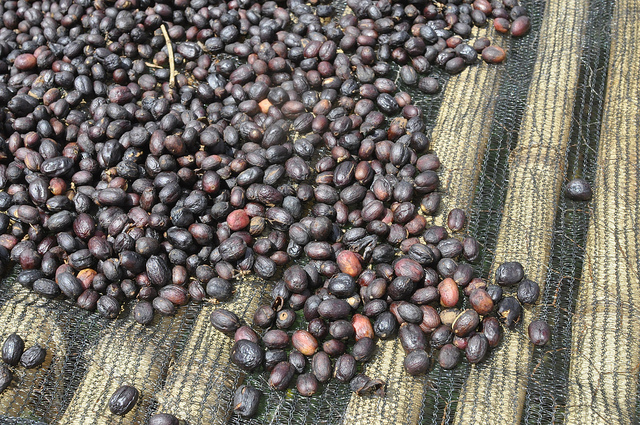 In the process of being sold on the ECX, coffee lost all traceability. Not only did coffee origins become anonymous beyond a region, information about the cup profile was also often unavailable until after a coffee was purchased. Fortunately, the ECX is improving, and for this harvest we have seen huge steps taken to keep the coffee, and its vital information, together. The ECX now relies on an electronic auction system for access to data related to a particular product and all related transactions. Not only will this ensure that information stays with the product being sold, it allows a massive expansion of amounts and types of criteria that can be traded along with the product. For coffee, full traceability means reliable data pertaining to where the coffee was grown, down to the Woreda (district) or washing station. It also means better physical or sensorial data such as cup score, moisture content, and water activity of the coffee. Additionally, the ECX has revised its grading system for both washed and sundried coffees to improve the accuracy, reliability and consistency of scores. Our long-time partner in the region, Heleanna Georgalis of Moplaco, was initially skeptical about the promised changes. 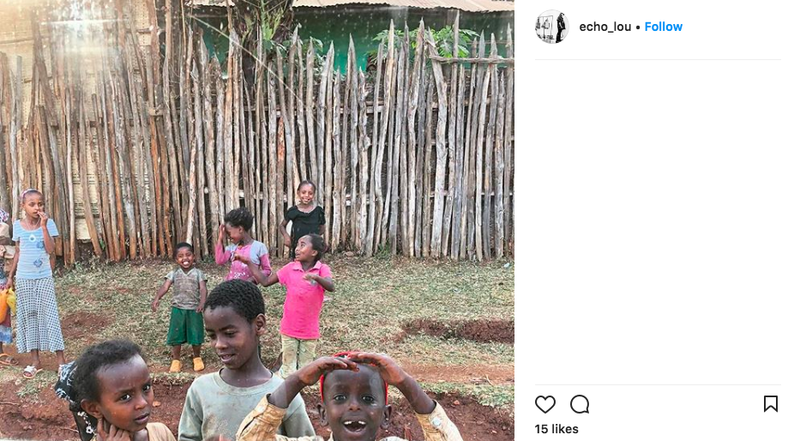 She has been in Ethiopia long enough to know promises and action are not always the same thing. However on our latest trip to Ethiopia Heleanna was optimistic, and said the changes have been successful thus far. For the first time in many years, she is encouraged by the direction the ECX is headed. Stay up to date with this and other changes to the Specialty Coffee Industry by subscribing to our newsletter. 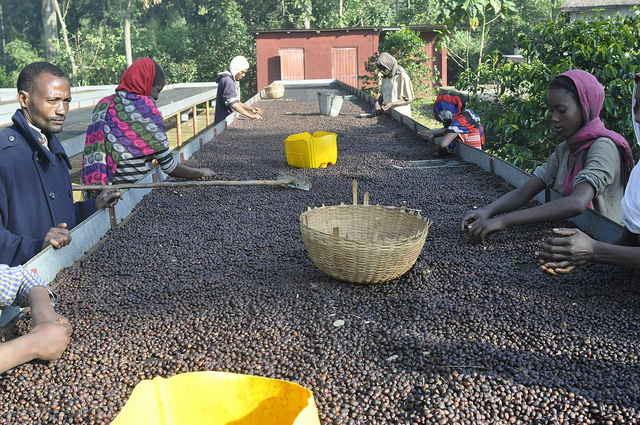 CCS was in Ethiopia for the second time this harvest season from January 7 to 14. Roasters from all over the globe joined us as we travelled from Addis Ababa to Yirgacheffe and Sidamo in the south of the country, visiting long-time partners and new friends. Our goal in the south of the country was to visit washing stations that are new for CCS, to get a sense of the people there and the way they work, as well as cupping their coffees. 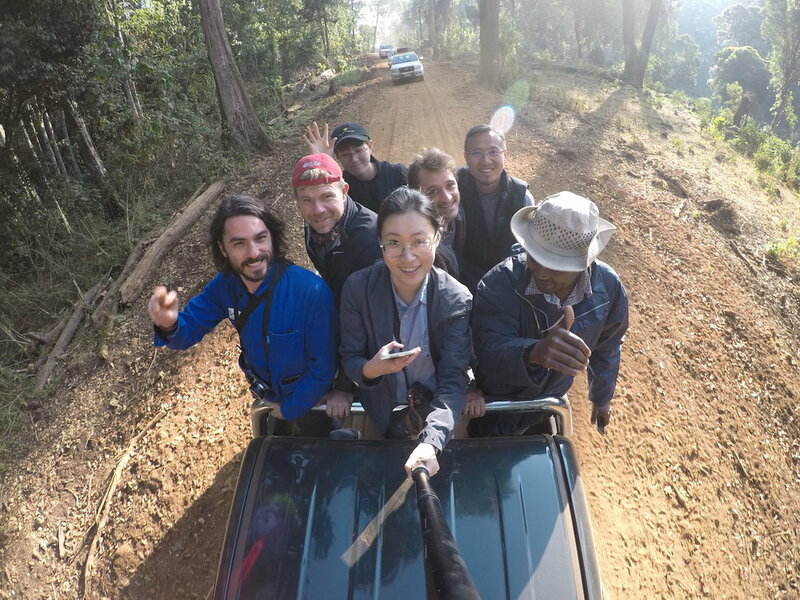 Next to Robert and I, in the vans travelling the bumpy roads of Southern Ethiopia, sat Mike from Blueprint in the US, Glen and Stanley from Green Coffee Gallery in Taiwan, Echo, Qili and Van, from Coffee Voice in China, Thomas, from Belleville Brûlerie in France and Erik, from Kaffa in Norway. We were accompanied by Abenezer from SNAP, an exporter and new partner we will work with this season and into the future. When buying your green coffee or sipping your freshly brewed cup, you may have wondered, what is an Ethiopia Heirloom? 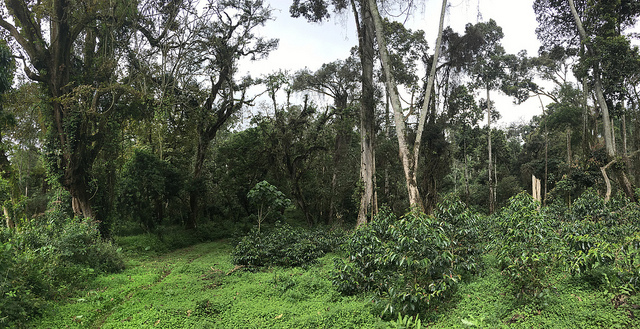 Well, I have at least a partial answer to that: when stepping on the black and fertile soils in the Guji Highland Estate you cannot find two trees alike. Walking randomly in the farm we passed by a beautiful specimen of unknown variety with orange, almost pink cherries. Even Robert, who has travelled to Ethiopia at least twice each season for the last 12 years, had never seen a tree like this! As the birthplace of coffee, the genetic variety in Ethiopia is breath taking, and something we are only beginning to understand. I have spent some time at origin in Latin America, but this was my first trip to Africa. What struck me immediately was how perfectly suited Ethiopia is to growing coffee, at least on the southern regions we visited. The weather was dry during our trip, with temperate days and cool evenings. Spectacular forests provide protective shade for the coffee trees which allow the cherries to grow and ripen slowly, enriching their pulp with sweetness. Again, this is no surprise given Ethiopia is the home of the coffee tree, still it is an experience to see it in person. In Perú and Ecuador, where I worked for a few months with cooperatives and producers, we often spoke about the terroir, the weather, and the processing methods as the components of specialty coffee quality. The one part that is usually the forgotten is logistics. The complexity in Peru surprised me, some farms are only accessible by motorcycle over bumpy and muddy tracks. 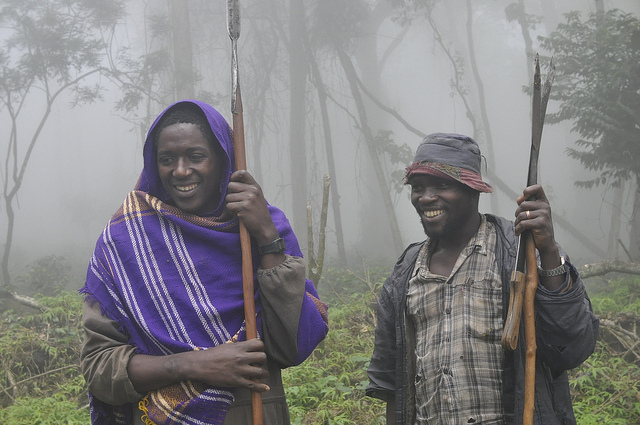 How do we reach those small producers in the most isolated reaches of the mountains? How do we maintain traceability? The issue of logistics is even more complicated in Ethiopia. First, Ethiopia is HUGE. We spent four days of long travel to reach different washing stations and farms in the south. And yet, seeing how tiny that region is on the large map of Ethiopia, I realised how crazy it is to work in a lot of different regions in the country. Distances are not that great, but the roads are extremely bumpy! Just moving from the north of Yirgacheffe to the south took us a full day in a car! At the same time, I felt privileged to see an Ethiopia that will soon be history. The country boasted an annual economic growth of 10,8% on average between 2004-2014, and its population is expected to grow from 100 million people today, to 190 million by 2050! That’s almost double! Huge infrastructure projects are underway to connect all parts of Ethiopia, and more specifically to link remote areas of beautiful coffees to the existing main roads leading to Addis. If you want to experience the Ethiopian “adventure,” go there soon guys! 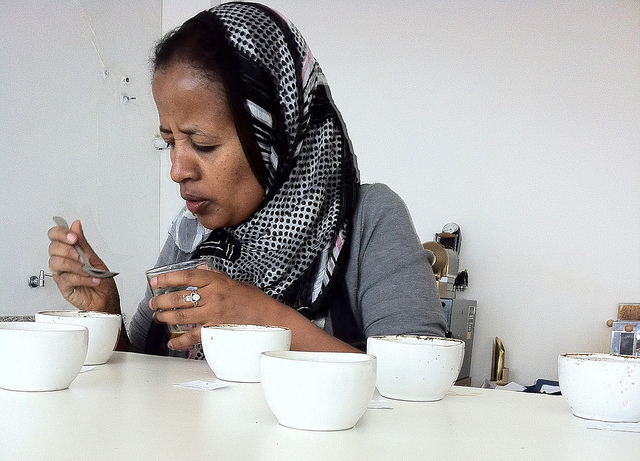 We returned to Addis on the weekend for many cuppings, and to visit Heleanna of Moplaco. Their warehouse and mill are astonishing! In another life I worked for luxury cosmetic brands and visited the French factories of Chanel and Dior. 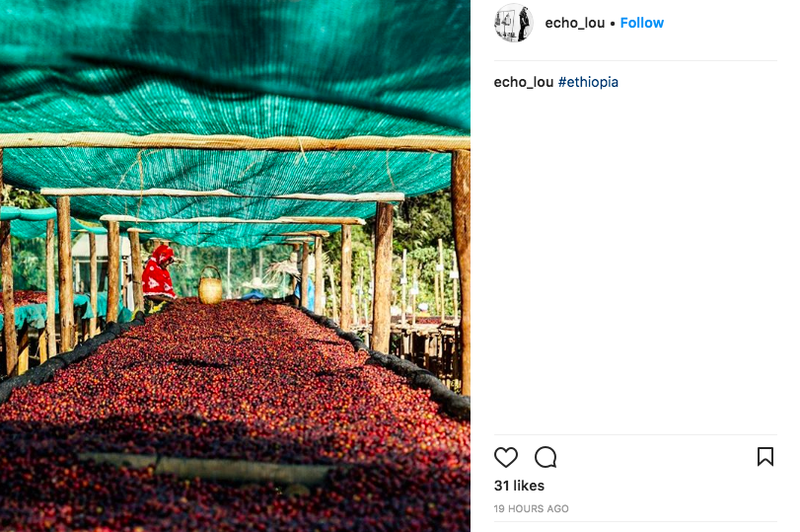 It is astounding to see a production facility for coffee in Ethiopia just as clean and perfectly organized as the production line of the fanciest perfumes from Paris. No wonder the coffees we get through Heleanna are always stellars. The highlight of this trip was meeting the people behind these incredible coffees, all of them with the biggest smiles. Each time I lifted my camera to my eye to capture the sorting process, or the natural coffees drying on their beds, I saw producers and partners with phones in hand, taking photos of me. Matt is finalizing our buys in Ethiopia, and the fresh crop should be on the boat by end of March. Contact me in Europe or Sal in the US to get your hands of some samples. Karyu, coffee washer at the Hallo Fuafate Washing Station, Yirgacheffe, Gedeb Zone, Gedeo. Regasa Araso Birbo, Supervisor at the Hallo Fuafate Washing Station, Yirgacheffe, Gedeb Zone, Gedeo. Sigaga Beyene, Owner of the Hallo Fuafate Washing Station, Yirgacheffe, Gedeb Zone, Gedeo. Thomas from Belleville Brulerie, France, at the Hallo Fuafate Washing Station, Yirgacheffe, Gedeb Zone, Gedeo. Over the last nine months, there have been waves of protest and unrest occurring in the Oromia region, which has led us to cancel our planned trip to Ethiopia in the coming weeks. Amidst the protests and subsequent killings, we have read about and had confirmed by export partners, that washing stations have been targets of looting and vandalism. For one of our partners in particular, it has been incredibly challenging to make decisions about buying and processing cherries. Would these coffees even make it out of the country? While it's challenging to find good news sources about how and why these protests have been occurring, we've found some that we'd like to share with you and that you can find in the links below. The current situation is based on the build up of years of frustration from ethnic groups who have felt marginalized by the government. Ethiopia is made up of about 80 different ethnolinguistic groups with the Oromo nation comprising the largest ethnic group in the country. The communist regime was overthrown in 1991 and the current government, which acts essentially as a single-party, has been ruling as an authoritarian regime since that time. Throughout the years, there have been varying degrees of unrest and protest, the biggest and until now occurring in 2005 during the country's heavily contested elections. The results of that election, which sustained the ruling party's power (the Ethiopian People's Revolutionary Democratic Front (EPRDF)), was considered fraudulent by both the opposition as well as outside observers. Now, the country's two largest regions - Oromia & Amhara - have been continuously erupting in protests over the last nine months, over similar dissatisfactions with the ruling EPRDF, despite the EPRDF's attempts to repress these uprisings through thousands of arrests and hundreds of killings. The heart of the protestors' frustration comes down to a few main topics: land ownership, repression, and the fact that the ruling party is significantly made up of a minority Tigray elite. The Tigray nation makes up just 6% of Ethiopia's total population. Potential Impact on the 2016/17 Harvest? Those of you who have spent time in Ethiopia, or in the East African region more generally, understand that change is the modus operandi. It is too early in the season to make any predictions about how the export season will play out and whether these sociopolitical happenings will negatively impact the coffee sector. For now, we wanted to share what is happening and why we and other coffee buyers have been cancelling travel plans to Ethiopia. We will keep you updated as further news becomes available. 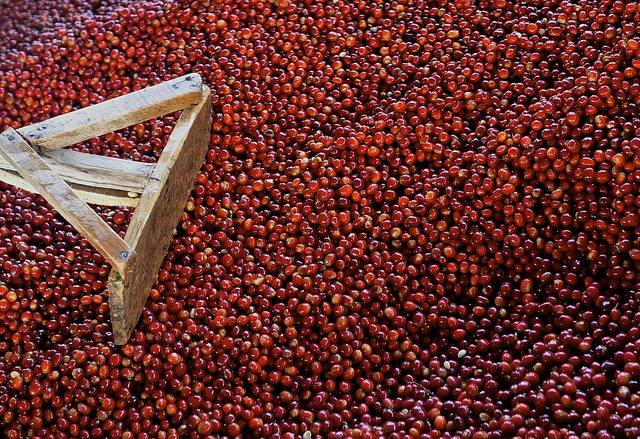 Naturals from The Gesha Village go through a rigorous selection process.Run through a wash, floaters are removed and all quality cherries are transferred to raised African beds where they are dried in thin layers using a parabolic plastic cover. Lot 1.4(NHQ-G1-1.4): Tropical with clear aromatics of Guava, this natural lot from Gesha Village is bright and flavorful and scored a high of 87.5.Full of cantaloupe, the finish is refreshing. Lot 1314(NHQ-G1-1314):A very floral natural Gesha, Lot 1314 combines the acidity of apples with hints of mango.Long yet sweet, this lots allows you to savor the complexity of Gesha in a naturally complex state.Scoring 87 points during cupping, it lives up to its name. Lot 1617(NHQ-G1-1617):The highest score of our Gesha naturals(88 points), Lot 1617 is a wonderful experience combining orange blossoms and rose petals.With a sparkling acidity level, this lot is bright with a slight hint of rosemary. Lot 7910(NHQ-G1-7910): With a score of 87, this natural Gesha is vibrant and full of bright red berries.Raspberry is very prominent with notes of red apples adding a hint of sweetness. Heleanna Green coffee exporter, farmer, and roaster; one half of Moplaco P.L.C. Is this coffee farm better if it has an exciting story? What sells this coffee: its processing or the photo of its processing? Melanie Leeson, Director of Marketing and Development at Collaborative Coffee Source, a coffee importer. Marketing doesn’t have to be bad – but it is marketing. Written by H. Georgalis of Moplaco P.L.C. and M. Leeson of Collaborative Coffee Source and edited by T. Newton. 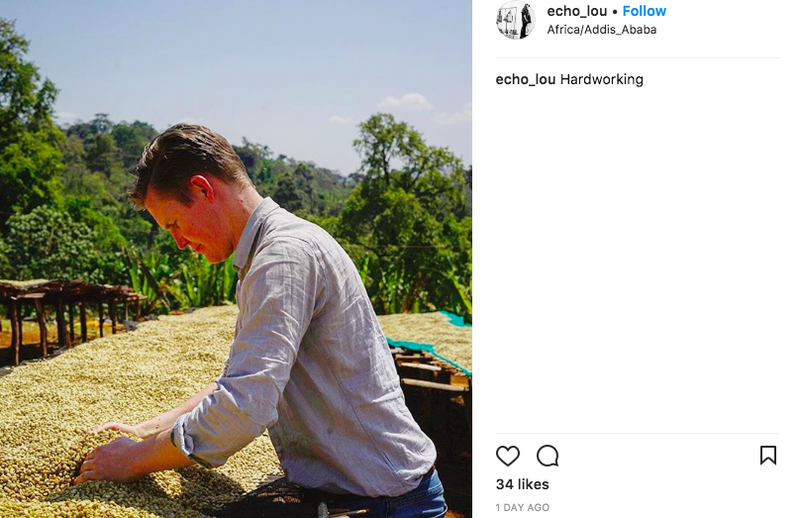 I want to explain a process that you all have questions about and is super important to your offerings: the timeline of getting Ethiopian coffee from the tree to your roastery. The prevailing expectation is that since harvest begins in October and ends from December-January, cupping/selections happen in February and March is shipment month. This schedule is based on buyers' experience of the former auction system. It does not reflect the way the current auction system works for mixed containers. 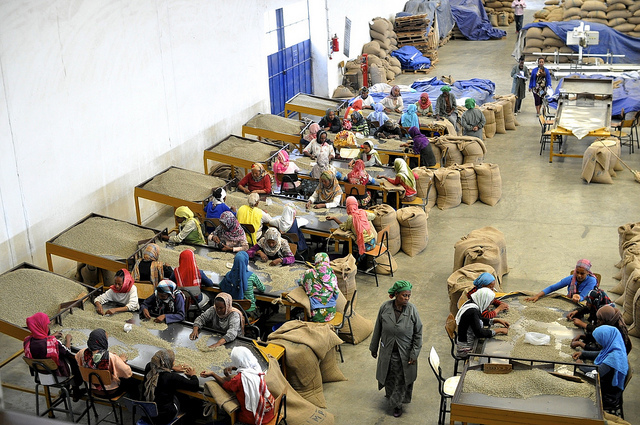 In the old system, coffee was sent to a centralized warehouse and then purchased in Addis. This meant that a coffee purchased in the morning was delivered to the buyer's facility the same day. When the new ECX system was implemented, the decision was made to place warehouses in 7 locations across the country that make up the geographic regions that coffees are now sold as (e.g. Yirgacheffe, Sidama, Limmu, etc.). So now, when a lot is purchased, it has to travel from the countryside to Addis after the regulated inspections are made and paperwork is in order. This process takes, on average, 10 days. By the time the coffee arrives in Addis, it has not yet been evaluated by the buyer. In fact, one can only make a quality claim while the coffee is still at its original warehouse. Basically the process makes it impossible to make quality claims because: 1. you have to pay a non-refundable fee of $150 to have your coffee inspected, 2. you have to have a staff member be there to do the inspection, 3. you have to pay your driver's expenses while any claim is made and the resulting appeal is followed up. And of course, the coffee isn't going anywhere and can't be offered to any customers while this process is unfolding. In reality, we purchase containers that are made up of at least 2 different lots (usually it's more like ±5) so that we're able to offer a good variety to our roasters. So each of these lots have to go through the above process and then approved by us for purchase. Getting 5 lots coming from different warehouses with the exact cup characteristics that we like and then getting them machine and hand sorted for export makes March export, well, pretty challenging, to put things lightly. And all the above also assumes that the export facility is functioning at top efficiency and capacity. Last week the electricity went out on Wednesday at Moplaco and wasn't functioning again until Friday afternoon. Not only was production halted, but a staff member had to take the time to follow up vigilantly with the utilities company to ensure that someone was actually addressing this situation. Heleanna estimates that an entire container's production was halted due to these three days of the electricity cut. Over the weekend, I had the pleasure of celebrating Ethiopian Easter with Heleanna, her friends and family. One of the people I met on Sunday works for an Italian development agency and another works as an IT consultant for the World Bank. Both of them work with a variety of commodities and have years of experience working not only in Ethiopia but around the world on development projects. It's not all dismal. The Ethiopia of today is completely different from the Ethiopia of five years ago. Addis is a vibrant and developing city with a metro line, a fantastic food scene, commercial centres and hotels cropping up everywhere, and a thriving arts and music scene. As the World Bank consultant put it: Ethiopia is where Central America was 10 years ago. As I mentioned in an earlier newsletter, receiving coffee from our Central American partners is much more smooth and efficient than it is getting coffee from East Africa. This consultant believes that Ethiopian policies and business culture are heading in a similar positive direction.